I’ve used some products from the skincare brand Elemis for years, and have grown to really adore the iconic British beauty brand – not just from personal use but for my job and blog I’m fortunate enough to work closely with many brands, and Elemis being one of them. So when I was given a gift card at Christmas (yes I realise it’s nearly summer now!) 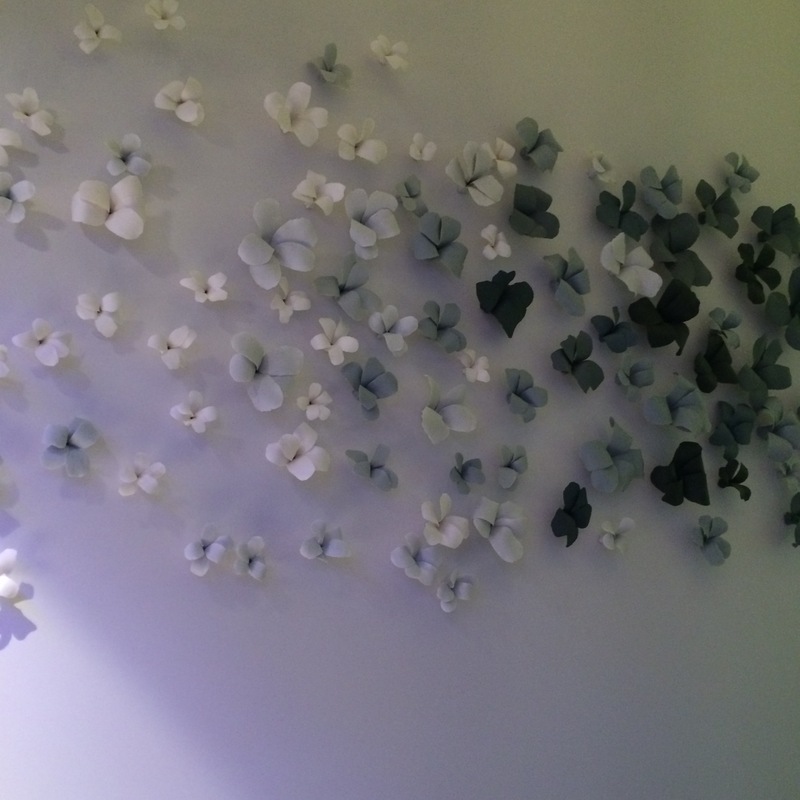 for The House of Elemis salon in London’s Mayfair I was pretty excited. The card came in a beautiful gift box and included a travel size Elemis product. Any beauty and pampering fan knows how lovely facials are, but to get the results you want it’s important to use brands that are scientifically proven to work (tick Elemis), you need to have a good skincare regime at home (yep – sorted) and ideally have a facial treatment once a month, should the pennies allow (hmm so 2 out of 3 ain’t too bad!). It’s fine to perform facials at home, including scrubs and masks, but it’s just not the same at a salon experience is it! The photos on this post are rubbish (sorry – I’m still saving for a better camera!) and I was not able to take photos during my treatment (obviously – and it might have been weird to ask my therapist to take one of me during?!). On arrival to the London-based spa, which is a converted and luxurious townhouse nestled in the pretty Lancashire Court just behind Bond Street, I was offered a herbal tea and some water whilst I completed a lifestyle questionnaire (on an IPad). I then went to my treatment room. 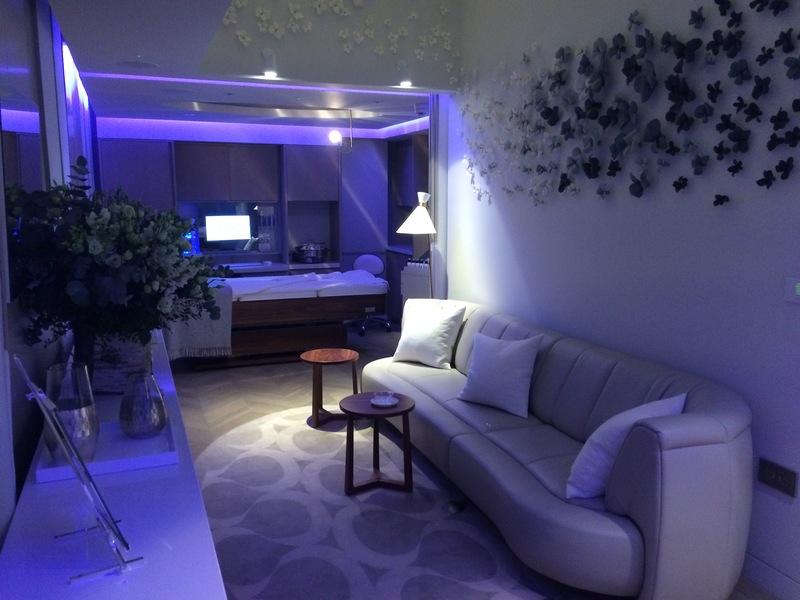 On this particular day “The Penthouse” treatment room was available – a stunning and calming room offering two treatment beds, one at either end. Perfect to take a friend or a client! I was lucky and had the whole space to myself. 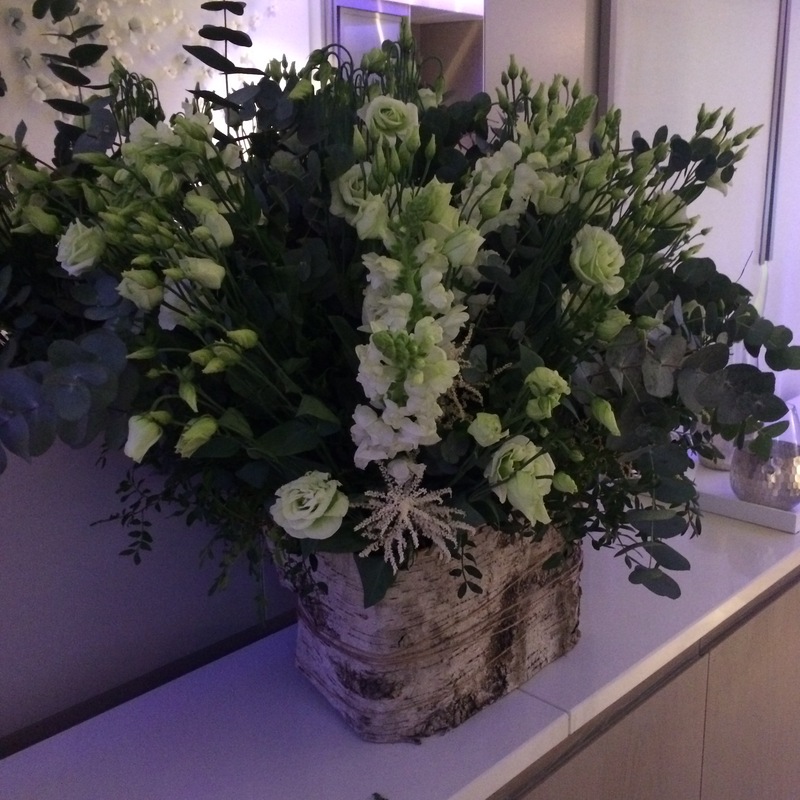 Beautiful fresh and fragrant flowers in “the penthouse”. My therapist was extremely attentive, making me feel very at ease and welcome. After a chat about what I wanted to achieve out of my treatment, we decided the superfood pro-radiance facial would be best for me. This treatment includes energising and detoxifying products and masks full of nutrients to help dull and stressed skin find a hint of radiance. With all the beauty brands I work with and have come to love and know well, Elemis is a brand that takes skincare very seriously, scientifically. They genuinely want results for you and from my experience the products do just that. My facial was heavenly! The lights were dimmed, subtle relaxation music was playing in the background and I was cocooned and tucked up in soft towels and blankets upon a heated bed. I felt sooooooo cosy and relaxed. What was also amazing, is that often in facials when a mask is on your skin, you are left alone for up to 20 minutes, almost a feeling of abandonment! I HATE THAT! In this treatment, during one mask I enjoyed a beautiful scalp massage, and then during the second mask I had a lovely hand and arm massage. This was on top of the face and shoulders massage you receive during the treatment. It was heavenly. The entire treatment was hands on, creating good value for your buck. After the hour treatment was finished I wished I didn’t have to get up, dressed and on the tube and train home. I would have been quite happy snoozing there for the rest of the evening! Afterwards, I was taken downstairs to enjoy a complimentary juice drink, I had Botanic2 – a blend of ginseng, citrus and many vitamins and minerals to help boost the immune system. After my juice, I settled up and stocked up on a couple of products I’d run out of. I got myself the Skin Buff – a grainy but gentle exfoliator – I love the feeling of scrub on my skin when I’m exfoliating and so many off-the-shelf products are too harsh for your skin (like including broken bits of peach kernel that just scratch the skin’s surface! A BEAUTY NO NO!!!). I also got myself the Skin Nourishing Milk Bath which is just the nicest bubble bath! It leaves my skin so soft and silky afterwards and it’s really clean smelling. There’s no forceful nature or pressure from the therapists to buy products, which is for me usually the annoying part when going to a spa or salon! When I got home my skin instantly looked brighter. I felt and looked like I’d had a good cleanse, and scrub, and of course a pamper. Ready for bed, I slept like a (sleepy) baby that night! One of the best night’s sleep I’d had in a while! 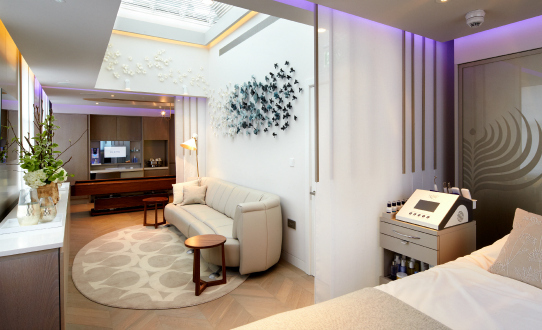 If you can treat yourself (or drop a hint to a loved one) and visit the House of Elemis in London for a beauty treatment sometime, please do! They have a wide variety of treatments on offer including the Speed Spa offering mini treatments lasting from 15-45 minutes for those quick fixes and touch ups! Their website is www.elemis.com/house-of-elemis. My breakfast bowl for champions!